Many metered spaces are available on Beacon St on both sides of the street and alongside the center median. Non-resident parking is also available on Salisbury Road, which runs parallel to Beacon from Washington to Kilsyth one block behind Grassona's Italian. 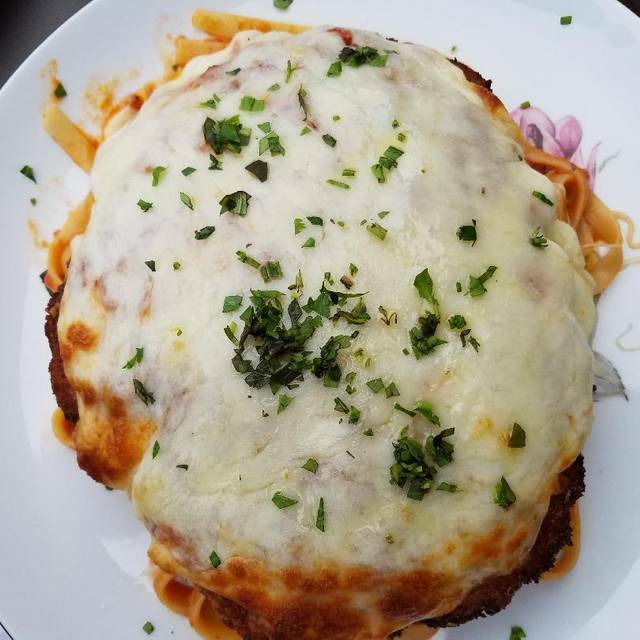 Brought to you by the Fairsted Kitchen team, Grassona's Italian serves creative Italian comfort fare inspired by a love of Grandma's red sauce cooking. 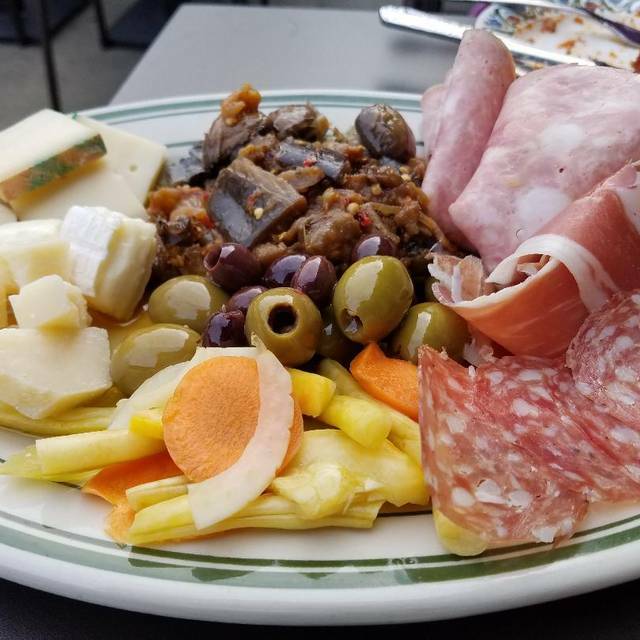 With heaping antipasto platters, hearty pastas, and tongue in cheek riffs on Italian standards, our warm and welcoming experience stretches from quick weeknight suppers to lingering weekend feasts. Come for our family style menu that makes group dining a delicious breeze. And bring the children for our Bambino's menu, with smaller portions of the same honest, scratch cooking from the dinner menu. Find the perfect partner to your meal our deep Italian wine list overseen by Proprietor & Sommelier Steve Bowman. Or delve into our bar offering timeless classic cocktail alongside innovative house creations. In the heart of Brookline's Washington Square, Grassona's Italian is convenient to many local colleges. We are a quick hop from BC, BU, Simmons, and Emmanuel, halfway along Beacon street between Kenmore and Cleveland Circle. 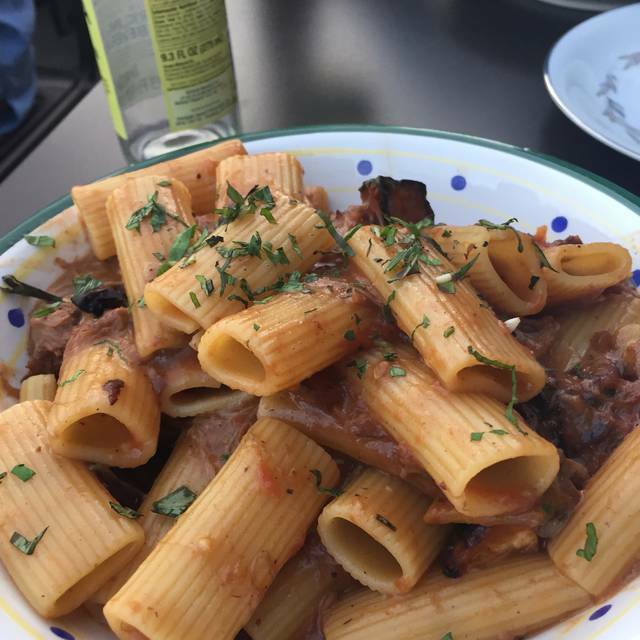 Fantastic Italian food and great service! Was a hit with the whole family. Excellen service and food, definitively goibg back so I shouldn’t recommend it so highly otherwise I won’t find a table anymore! Grassona's is a hidden neighborhood gem. Not only is the environment cozy and warm, but all of the staff are incredibly friendly, welcoming and knowledgable. The chef, Phil Dwyer, is absolutely amazing. He takes traditional recipes but utilizes innovative techniques, local grown ingredients and a gut instinct to create truly delicious plates. I would give them all of my stars! Superb service, very accommodating of gluten and dairy allergies. Nice vibe, friendly and warm, but not noisy. Food was very good, the bolognese, in particular. Both salads and antipasti were excellent with each bringing something special to the table. I wish I had room for dessert. Will definitely add this to our rotation. Wonderful neighborhood gem. Great wine list to go with delicious food! Had a lovely brunch with friends! Food and service are excellent. The very best hospitality in town, a crazy-fantastic wine and cocktail program, and gorgeous Italian soul food - Grassona's is *the* hidden gem of Boston and you want to be a regular here. The staff hits the just-right balance of playful and knowledgable. I feel pity for the folks walking in the place next door to pay out the nose for a corporate franchise with a hip brand. 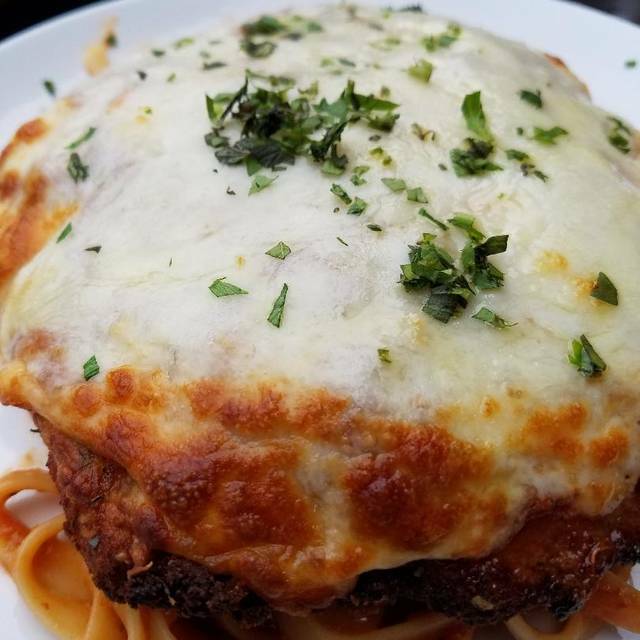 The charm and heart that Grassona's serves up will never go out of style! I've been to Grassona's a few times, and it is always a great experience! The food is excellent and the service is amongst the best in the Boston area. The waiters are friendly, and very helpful and professional. The ambiance is also great! Would definitely recommend this to anyone for a special occasion or otherwise! The entrees of fish and lamb shank were perfectly prepared and presented. And the desert (blood orange ice with basil was creative and wonderful way to finish a meal. It is a little tight for dining. When we were seated next to a family with very young children, I thought my dining out for a special occasion would be marred. Fortunately the children were well behaved. Would likely not come to restaurant on a Friday or Saturday night and would come earlier hoping not as crowded. The dishes are very tasty. The portions are enormous. It's hearty fare--good comfort food for the winter. Good wine and beer list. The service is attentive. We go typically on weekdays and it's comfortably full enough but not loud. It's become one of our neighborhood favorites. Wonderful brunch menu. The meatball eggs Benedict was amazing and with Steve’s wine recommendation...perfect! Amazing food, cozy ambiance, and professional/friendly service. We had a wonderful time! My friend and I were the only ones in the restaurant on a late weekday night. The service team were warm and friendly. Our food was fresh and very filling. The chef brought out two free desserts for us to share. So nice! One was from the test kitchen; it was fun to be able to sample something that may potentially go on their regular menu. I'm THRILLED they also offer vegan options, as this makes another accessible place to bring friends with various dietary needs. I'll gladly return! Thank you! Everyone liked their meal except I had the brick chicken and it was a bit bland. Wilted greens didn't work. My husband and another friend order the flight sampler. The waiter spilled one of the drinks all over my husband's sweater and coat. Didn't compensate us for it and almost avoided us the rest of the time except to bring the check. Weird...don't think we'll go back. We love Grassona's. Every time we have been, they are top notch. This time was no exception. They were especially busy for a Sunday night and only had one server on. Though it took extra time in between server visits, Mark was incredibly personable, knew his stuff, and took his time explaining menu items. The food, as always, was amazing. I will always recommend Grassona's to anyone who needs a place to eat in Brookline. I loved much about the restaurant...as indicated above. 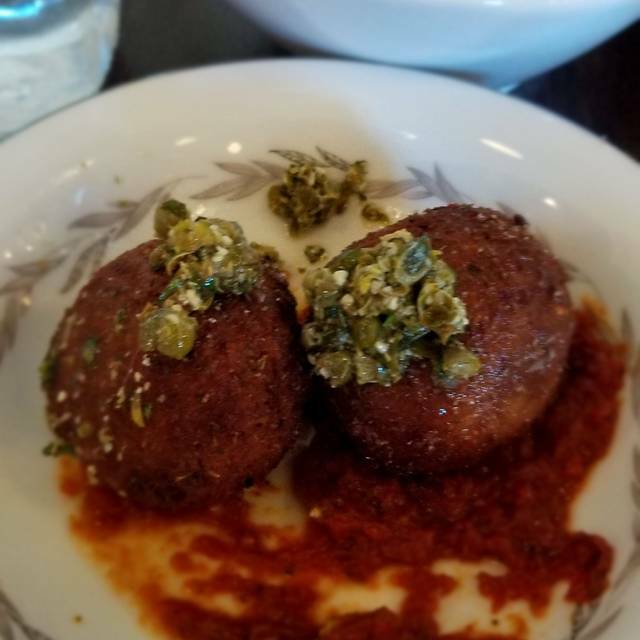 My food was too sour for me, and while I understand that pickling is a trend, it is not my favorite, so it would have been helpful to know that the dish would be sour. Other than that, the dining experience was great. This was my second time visiting Grassona's and it was just as delightful as the first. 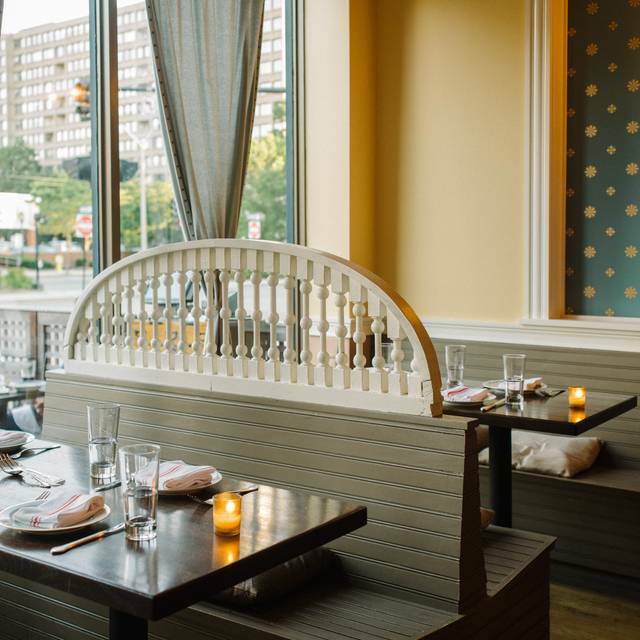 This restaurant is a new gem in the Brighton/Brookline area. The service is impeccable and the food is exquisite. The wine list is impressive and extensive, and the ambiance of the space is lovely and romantic. Definitely my favourite new date spot with my fiancé. Can't wait to come back again! Fabulous! Great vegan options! We will definitely be back. Our first visit to Grassona's was enjoyable. We thought that our salads, dinner, and service was very good. Our waiter was a plus. He was very knowledgeable about the menu and answered our questions perfectly. This restaurant is worth several more visits. Excellent Italian food with very good cocktails and wonderful service. They also have a large vegan/vegetarian menu if you're into that sort of thing. It is a smaller place so getting reservations is a good idea. Great service and delicious food. A great, intimate spot for a date night with delicious craft cocktails. Also a great GLUTEN FREE menu for intolerant folks like me! Excellent dinner, rich flavors and the fried corn bread was one of the best things I’ve eaten anywhere... especially with the veal - wow! Grassona’s Italian is a really wonderful neighborhood gem. 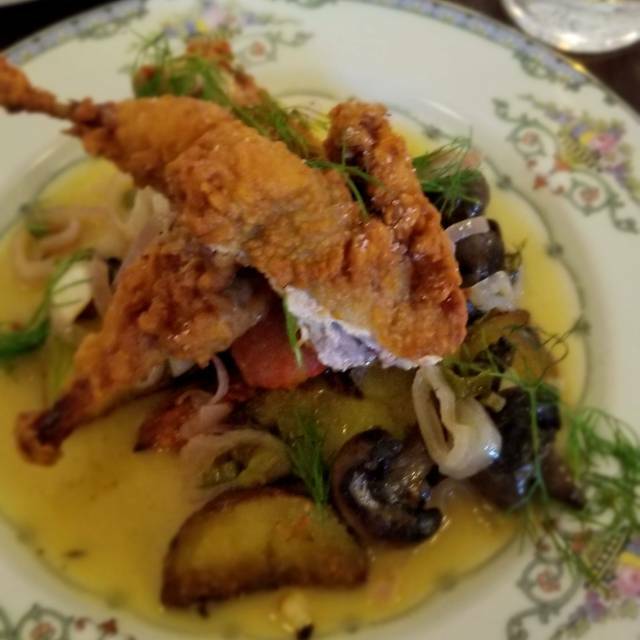 From the creators of Fairsted Kitchen, Steve has incredible attention to detail and the food reflects that. If you want an intimate warm experience where you can support a local business check out Grassona’s. Grassona is always a pleasure. Warm, friendly atmosphere, wonderful food, terrific guided wine selections. It never fails. This was our first time at Grassona's but is sure not to be our last. We were celebrating with my 92 year old mother, who has difficulty seeing and hearing. The staff was warm, gracious and endlessly patient. The service was impeccable and the food was fresh, creative and out of this world. I highly recommend Grassona's! The waiter's extravagant praise for the cuisine unfortunately failed to match the actual quality of the food, which was overpriced and disappointingly mediocre. I really liked Fairsted Kitchen and was so hoping its replacement would be comparable. Super cozy atmosphere, most tables seat 2, so, great for dates. 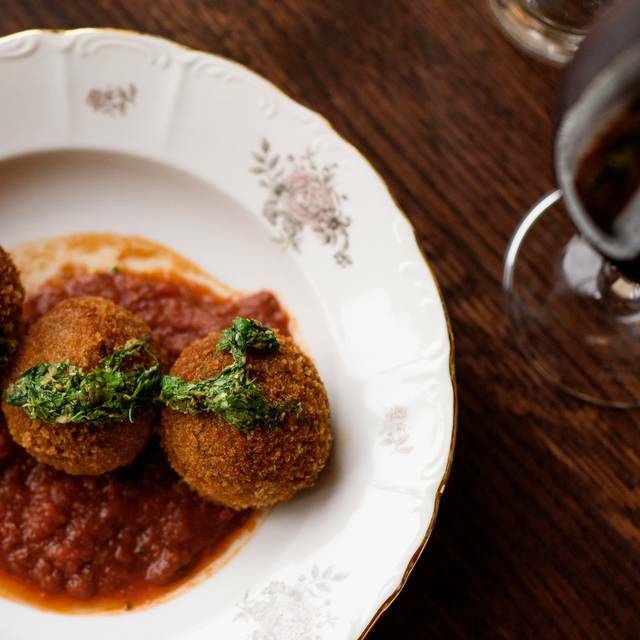 Appetizers are all great, especially the arancini, and the smoked olives. I had the lamb shank for a main, meat was fall off the bone tender. Service was impeccable, very attentive without being overbearing. Definitely coming back again for dinner! We are an elderly couple so do like the fact that the music does not interfere with conversation. Food, although very good, was a bit salty. Staff very accommodating. Enjoyed the restaurant very much. I was disappointed because I expected more. A special place, open late enough to be after movie, quiet (QUIET!) at that hour, with great menu and caring service, reasonably priced. I hate saying this on line for fear the secret will get out.